If “our task is to help organize, nurture, and shape the raw resistance that is exploding across America – and help to build what may come in its wake.”, then this panel is right on time. For in the words of the late Lynne Stewart, from her 2003 Minneapolis before the NLG,… I am reminded of the ancient nature of what we came for, what we accomplished and where we are going. For we are a gathering of the warriors of our day; those people who were placed on this earth at this time to change it. We were summoned here because tradition; ancient and modern affirm the strength doubled and tripled unto infinity by the collective will. And we saw that it truly works.” The main goal of this panel is that we want people to understand what is in their best interest politically, economically, socially and culturally. We want people to understand how to act in their best interests. 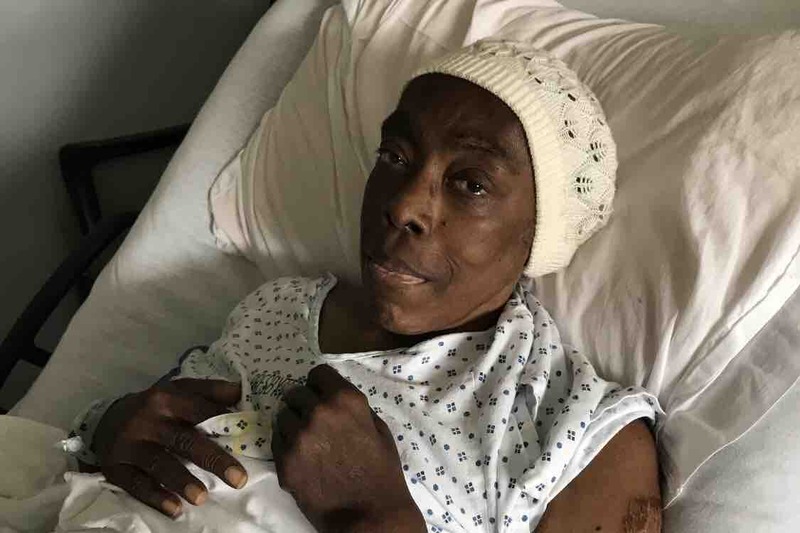 Once again, in the words of our beloved Sister Lynne, “ We warriors came here to listen to each other, to enjoy each other, to exchange ideas, to remember battles of old, to plan…. We learned. We have been inspired once again by the almost mystical and marvelous ability to gather strength through camaraderie, intellectual jousting and exchange but mostly by sharing the collective will to change the world.” By analyzing, critiquing and duplicating the successful strategies that led to the freedom of Lynne Stewart, we can review t he successful methods and methodologies that created the united international front that led to her liberation. Biography: Born in Western PA in 1934, the son of a union organizer in Steel. He was a founding member of The Teacher’s Freedom Party Caucus in the UFT. Jailed during human rights struggle for community control of schools in the sixties, he organized first successful prison protest during incarceration. 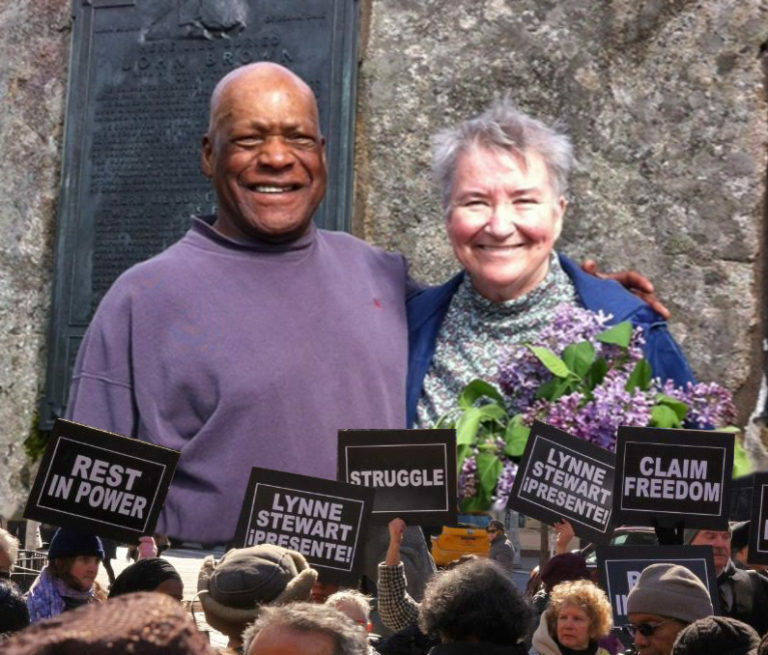 Supported recently deceased spouse Lynne Stewart in her lifelong struggle against judicial double standard and successfully led worldwide movement to free her from Carswell Federal Prison. Biography: Chris Hedges is an American Pulitzer- prize winning journalist and Presbyterian minister. He is a professor at Princeton University and author of several New York Times best-sellers. 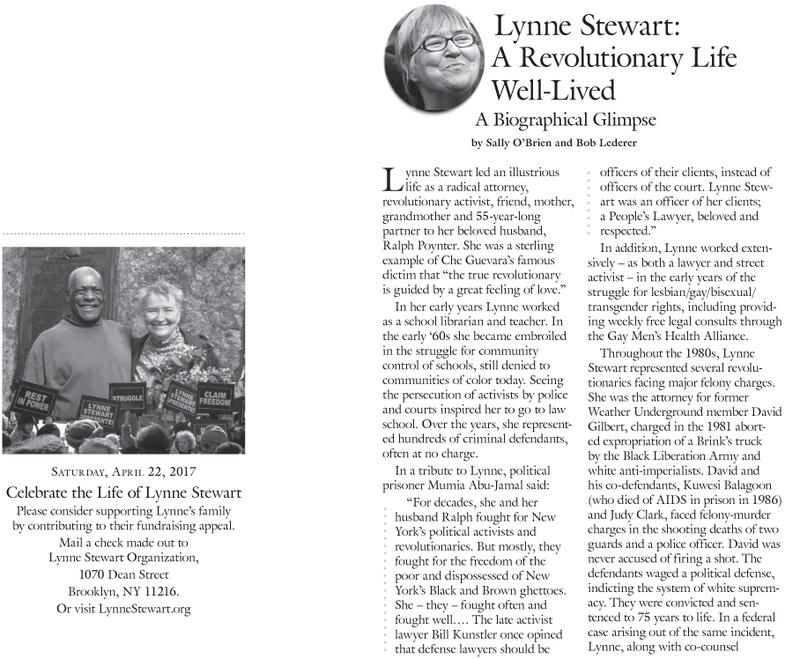 He was a faithful support and champion of the late Lynne Stewart. He is a columnist for the progressive news and commentary website Truthdig. Biography: Anne is an activist with the NYC Chapter of the Jericho Movement for Recognition and Amnesty for US Political Prisoners of War. She has been doing political prisoner work since the 1970’s. 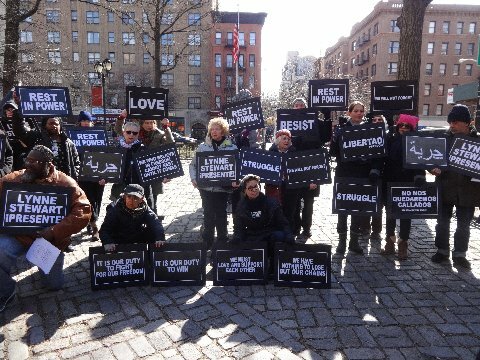 She was very active in the coalition to free Lynne Stewart. Biography: Bob Lederer is a longtime gay radical activist and supporter of U.S. political prisoners. In particular, he has been active in the cases of the Puerto Rican political prisoners, Mumia Abu-Jamal, and the late Lynne Stewart. He also contributed to the 2008 book, Let Freedom Ring: A Collection of Documents from the Movements to Free U.S. Political Prisoners, edited by Matt Meyer. Bob is a co-founder of the anti- racist/anti-imperialist Resistance in Brooklyn collective. For many years, he organized with ACT UP (AIDS Coalition to Unleash Power) and later, the WBAI Justice & Unity Campaign (he still co-produces the Health Action show on that radio station). In 1985, he was imprisoned for three months, along with several other radicals, for refusing to collaborate with a federal grand jury investigating revolutionary underground groups. Biography:Pam Africa is world renowned for her work on building a successful movement for the release of death row journalist, Mumia Abu Jamal, and her tireless efforts to free the MOVE 8. She has worked on films, documentaries and traveled across the planet in pursuit of justice. 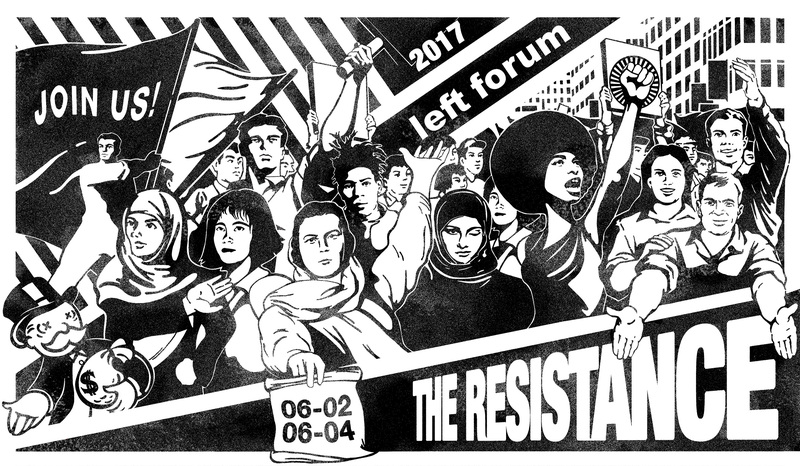 Join these speakers and many others at Left Forum 2017!